10” HYDROXY® GAS DRYER. Slim Filter clear/purple acrylic filter housing. 12” tall. 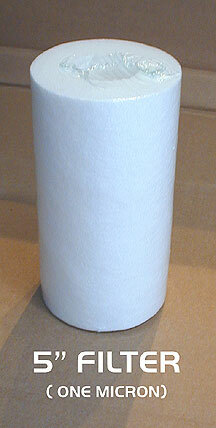 4-3/8" wide white plastic cap with 'o' ring. 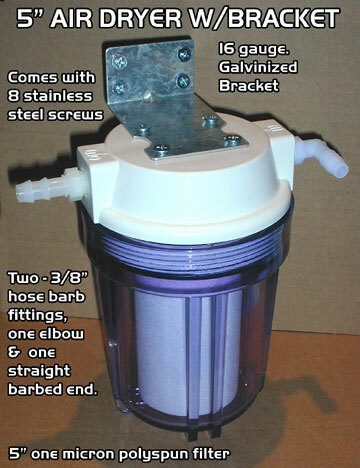 Comes with SS bracket & 4 ss tap screws. 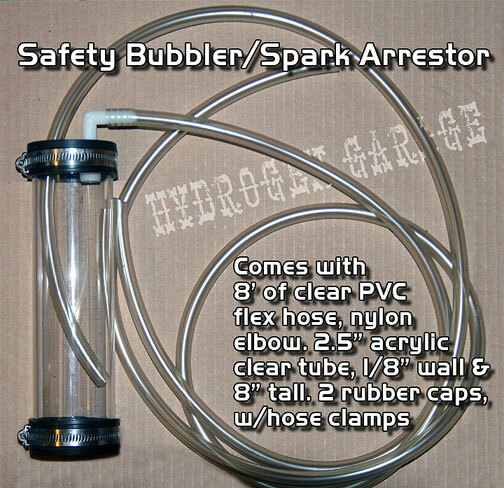 Can also be used as a bubbler/scrubber as well. We add a 11" PEX tubing. Works best mounted sideways with the IN-let down to drain all condensation back into your water tank. Comes with a 1 micron filter. Below choose either 1) Bubbler with the 10" pex tubing in the center. 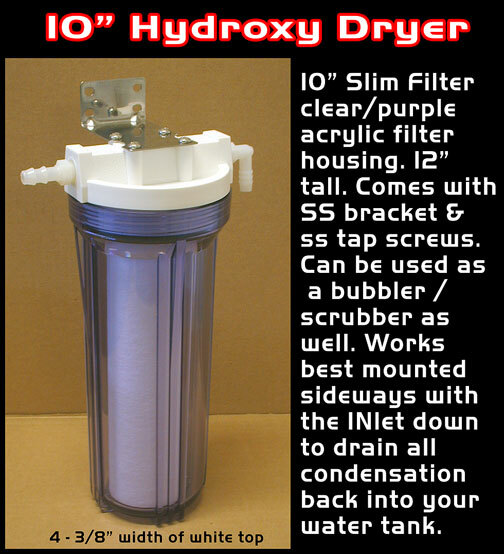 OR 2) Hydroxy Dryer with a 10" filter. OR 3) Choose both tube and filter.